Winsborough Hall, pictured ca. 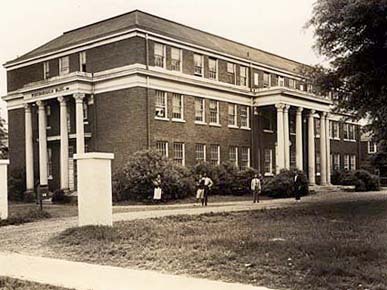 1930, was built on the campus of Stillman College in Tuscaloosa by the Women of the Presbyterian Church in 1922. The building was named for Secretary of Women's Work Hallie Paxton Winsborough. Today it serves as a women's dormitory for senior students.